Yesterday we did a projected offensive depth chart based on players the Dallas Cowboys currently have under contract for 2019. Today we're looking at the defense, which could still see some significant changes once the NFL Draft and free agency are over. Just yesterday, Dallas agreed on a trade with the Miami Dolphins for DE Robert Quinn. 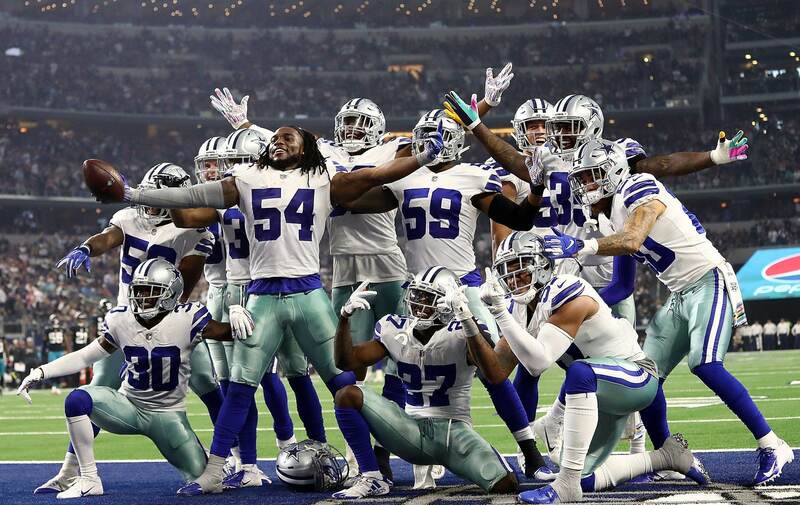 This helped answer the biggest question facing the Cowboys defense; DeMarcus Lawrence remains in contract limbo, Randy Gregory is indefinitely suspended, and Tyrone Crawford now faces potential suspension for involvement in a recent bar brawl. Many expect Dallas to focus on defense with their early draft picks, perhaps adding a safety with their 58th-overall pick in the second round. Any players drafted in the first five rounds are likely to make the roster, knocking off some of the lower-tiered players we currently have. For the purpose of today's exercise, I'm going to go ahead and put DeMarcus Lawrence on the depth chart. I know he's not technically under contract and it could go a few ways, but the odds are that he will be playing for the Cowboys this season thanks to the franchise tag. By that same logic, I'm not going to include Randy Gregory. There may be high hopes that he will be able to get his suspension lifted or reduced, but we saw him miss nearly two full seasons from 2016-2017 with these issues. Crawford, on the other hand, likely won't miss more than a game or two with his problem. We'll go ahead and put him in for now, as there's still a good chance he won't miss any time. Who starts at defensive tackle is hard to say. For now, we'll defer to Crawford as the veteran and Woods as one of the standout players from last year. But Maliek Collins and newly-signed Christian Covington will compete and have every chance to get into that starting lineup. And really, fussing over starting jobs with this defense is a waste of breath. Snap counts are what really matter; teams use their nickel scheme more during a season than their "base defense." A guy like Collins may not play the first snap of the game but could be seen more over the long haul in passing downs. There's no mystery who the starters will be at linebacker and cornerback. For the safeties, Xavier Woods and free agent George Iloka are the best bet but nothing is certain. The draft is going to lead to some tough cuts, perhaps a guy like Daniel Ross at DT or veteran Justin March-Lillard at linebacker. At cornerback, C.J. Goodwin is a veteran who played late in 2018 but is 29 years old and offers no upside. As we saw yesterday with the offense, it's encouraging to see how filled out the roster already looks. The Cowboys could go into the season with this group and be as competitive as they were a year ago, but they still have opportunities coming up to get better. But of course, that statement gets blown to pieces if they don't figure things out with DeMarcus Lawrence.